According to recent news reports, Infosys Managing Director and CEO Vishal Sikka has resigned with immediate effect. 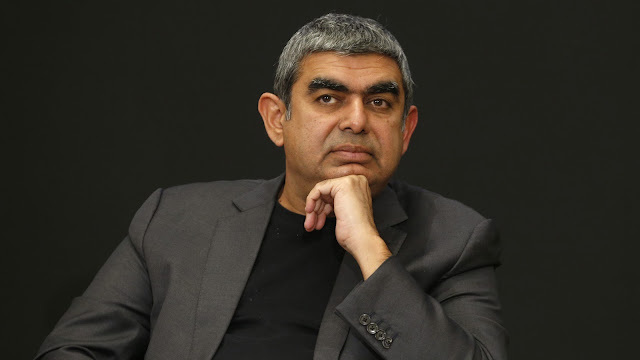 The board of directors of Infosys said that they have accepted the notice of resignation of Vishal Sikka as the Managing Director and CEO, effective immediately. In his notice of resignation to the Board, Sikka reiterated his belief in the great potential of Infosys, but cited among his reasons for leaving a continuous stream of distractions and disruptions over the recent months and quarters, increasingly personal and negative as of late, as preventing management’s ability to accelerate the Company’s transformation. Infosys said in a press release that Sikka will report to the Company’s Board and will also continue to focus on strategic initiatives, key customer relationships and technology development. Under the leadership of Sikka, Infosys launched breakthrough new programs to drive innovation, education, and entrepreneurship on a large scale. (c) Zero Bench, a bold notion of leveraging the bench as a means to drive additional value for clients. Employee attrition has decreased dramatically during Dr. Sikka’s tenure, particularly among high performers, utilization is at a 10-year high, and client satisfaction is at an all-time high. UB Pravin Rao has been appointed interim chief executive officer and managing director reporting to Sikka under the overall supervision and control of the company’s Board.